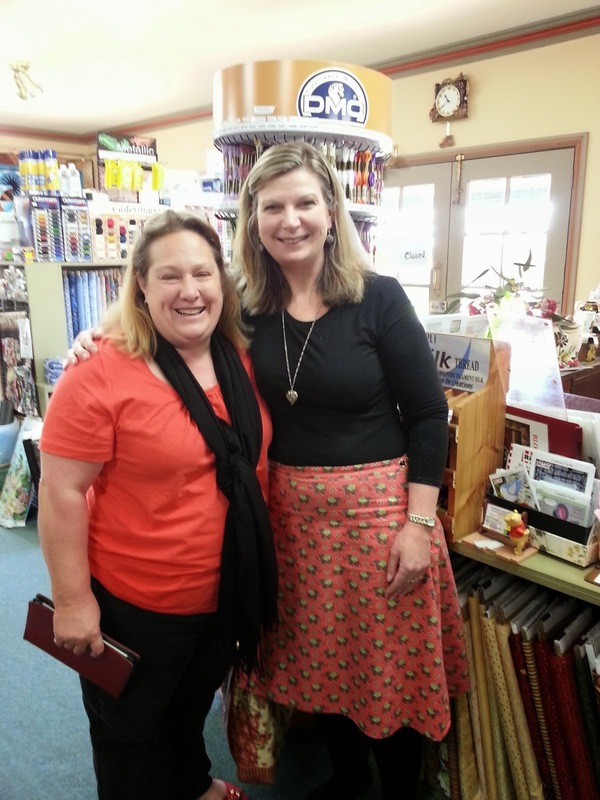 Deb from Frog Cottage Designs at my LQS. Proof of our Retail Therapy and our two little quilters in the making. My Miss Lily and Deb's Miss T.
and a pic of Me and Deb. 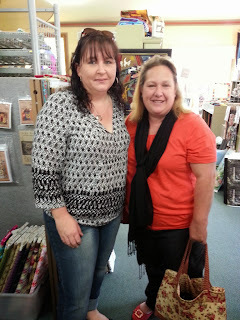 It was lovely to catch up with you Deb. How lovely to meet up with Deb and her daughter. 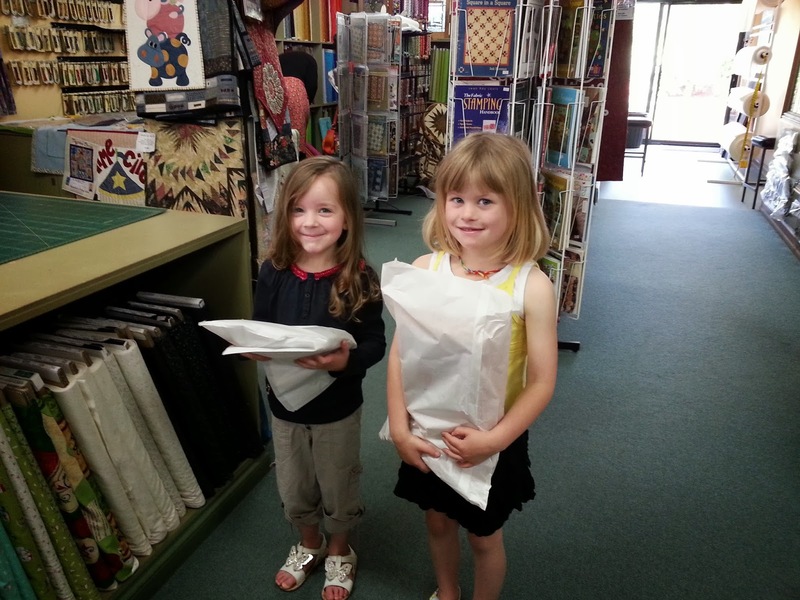 Lucky you both had those little helpers to carry your shopping! Blogging makes it a very small world. Wonderful that you could meet up......and with the cutest little helpers too. Great to meet fellow bloggers. Great helpers. How sweet are both your little helpers. So glad that you got to meet...and how gorgeous are your helpers.